A 37-year-old Mongols motorcycle club member will stand trial for the October killing of a Pomona police officer, a Los Angeles Superior Court judge ruled Wednesday. Judge M.L. Villar agreed to add a special gang allegation to the capital murder charges filed against David Martinez, of San Gabriel, California, after prosecutors tied him to a Mongols chapter based out of Montebello. 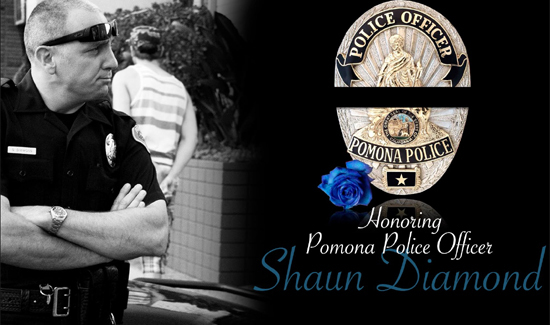 If convicted of the murder of Officer Shaun Diamond, Martinez could face the death penalty. Villar said she was “convinced” enough evidence existed against Martinez after a two-day preliminary hearing. Martinez allegedly shot Pomona SWAT Officer Shaun Diamond with a shotgun during a late-night raid on Martinez’s home in San Gabriel. Diamond, who was hit in the backside of his neck, died Oct. 29 at Huntington Memorial Hospital.